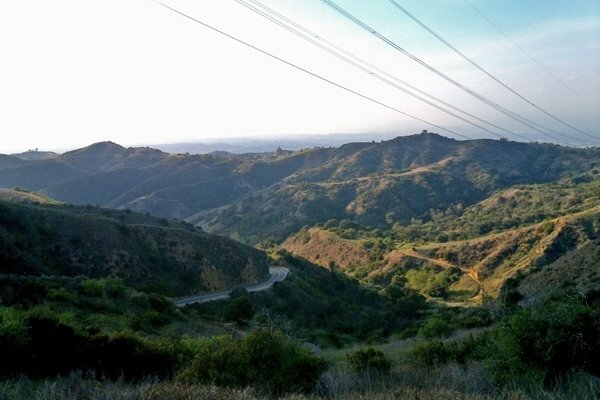 Turnbull Canyon is located in Southern California, creating the border between the towns of Wittier and City of Industry (yes, that’s the actual name of the town). It is a popular attraction for hikers and fitness nuts with it’s tough but manageable trails and beautiful scenery. According to locals, however, this canyon is the setting of many a terrifying event. Legend has it that not only is the canyon haunted, but it is also the preferred location for dark magic rituals, human sacrifices, and several grizzly murders. In this post, I will detail as many of the horrific events as I can. Called “Hutukngna” by the Gabrileños Native Americans, this nature formation was considered off limits as there were numerous sightings of ghosts and evil spirits. It is believed that Turnbull Canyon was the battleground of many Native American Wars. Some locals have claimed that they have heard the sound of war drums coming from the canyon. This tribe of Native Americans was so named the Gabrileños after converting to Christianity through the San Gabriel Mission. Back in this time, it was not uncommon that Spanish missionaries would kill those who refused to convert. Legend has it that many of these killings took place in the canyon itself. The idea that the spirits of these murdered Natives have lingered lends credence to the belief that the canyon is haunted. Fast forward to the 1930s. During the Great Depression, the canyon was used for dark and mysterious purposes. Back in that time, it was common for families to send their children to orphanages because they simply did not have the food to feed them. Local legend says that a cult would adopt the children through these orphanages and sacrifice them to Satan in the canyon. Locals have claimed to see the ghosts of these children, as well as hooded figures walking the trails at night. These sightings still occur today. Within Turnbull Canyon, there is a tree referred to as The Hanging Tree. It is so named because of a man who was found hanging from one of its limbs. Witnesses have said that you can still see this man hanging from the tree at the time of his death. There is no information as to what time of day this might have occurred. I also have no information as to when in history this might have taken place. In 1952, there was a plane crash, causing 29 deaths, 21 of which were children. An American Airlines plane crashed into the tallest hill of the canyon. There is no record of an American Airlines flight in that area at all and no planes were missing from their fleet. No one on board had identification, including the pilot. The only record of the crash even happening was a small article in the Wittier Daily News. Locals believe that the dark magic that lingers in the canyon caused this horrifying crash to happen. In 1962, a bizarre death took place. In the ruins of a mental institution that had burned down in the 1940s, a group of teenagers were having a party. One of the boys found an old electroshock machine. When he picked it up, he was electrocuted with a voltage strong enough to be fatal. The bizarre part of the death comes when we find out that the electricity had been shut off after the fire 20 years previously. In 2002, a young woman by the name of Gloria Gaxiola was murdered on Turnbull Canyon Rd. She was shot, then dragged behind a car down this road for 5 miles. The police caught the killers and administered justice. Being a popular road for racing, there have been other unfortunate auto-related deaths, including that of a CHP motorcycle Officer in Sept. 2005, who was struck by drifters. Believe it or not, there are even more stories associated with this terrifying location. Located just an hour or so outside of Los Angeles, Turnbull canyon is one of the scariest places I’ve ever researched. Home to ghosts, evil spirits, cults, and other strange occurrences, this canyon just screams “Stay Away!” So, naturally, I want to go there. This entry was posted on October 4, 2015 at 3:00 pm and is filed under Urban Legend with tags battleground, blood magic, creepy, cults, dark magic, Death, Demon, Demons, Devil, evil spirits, extraterrestrials, fear, ghost stories, hallowed ground, haunted, haunting, horror stories, Legend, magic, Scary, scary stories, Southern California, Turnbull Canyon, urban legend, Urban Legends, witches. You can follow any responses to this entry through the RSS 2.0 feed. You can leave a response, or trackback from your own site. the thought of a user iin his/her mind that how a user can understand it.